It’s been 10 years since we watched Jack Shephard dramatically open one eye, stumble through a jungle, and come upon the harrowing wreckage of Oceanic Flight 815. It’s been 10 years since we met Kate, Sawyer, Charlie, Claire, Locke, and so many other characters who would make us laugh, cry, and fall in love right along with them over the course of six seasons. And it’s been 10 years since we saw a polar bear, discovered a smoke monster, and realized we were in for a journey like nothing else we’d ever seen on TV before. That’s right, friends; Lost turned 10 years old on Monday. Ten years ago, I stood in front of the tiny TV in my kitchen and watched what I still consider to be the greatest pilot of all time. I knew I was in for one heck of a ride after learning all about J.J. Abrams’s crazy ways of weaving stories through my years spent loving Alias, but I don’t think any of us knew exactly how crazy this ride was going to be. I learned so much from watching Lost, and those lessons have stayed with me for the last 10 years and will continue to stay with me for much longer. I learned that no character I love on a TV show is safe at any time (not just in premieres and finales), and that’s helped me get through every season of Game of Thrones, Once Upon a Time, and even The Good Wife. I learned that sometimes your choice of favorite character changes as you grow and change yourself—from Kate to Charlie to Sawyer to Juliet. I learned that you don’t choose your “ships;” they choose you. (I spent so long wondering why I wasn’t more invested in the Jack/Kate/Sawyer triangle, only to discover that my heart was apparently saving all of its feelings for the unexpectedly perfect pairing of Sawyer/Juliet.) I learned that I love any and all plots involving time travel. And I learned that nothing makes me happier as a fan than when a character or a show can still manage to surprise me. The most important lesson, though, that I learned from Lost was taught to me in the pilot and reinforced in the series finale: It’s all about the characters. For all the polar bears and smoke monsters, the reason I loved the pilot was because it made me care about these people beyond just their observations of the mysteries unfolding around them. The pilot opened with people just trying to survive and help one another do so; the mysteries came later. And I tried to never forget that. For as much as this was a show with possibly the most complex mythology to ever grace network TV, what made it work was its commitment to creating and developing characters that made us care. I enjoy TV shows that make me think, and Lost certainly did that. Ten years ago, I often found myself losing sleep at night trying to sort out its mysteries. However, the best TV shows exercise our hearts as well as our brains. When I watch a show, I want to feel. I want to cry because I’m sad, and I want to cry even more because I’m happy. And Lost never stopped making me feel. From the raft launch and “Not Penny’s Boat” through “You got it, blondie” and Ben outside the church, what I remember about Lost all these years later are the moments that mattered not to the island’s mythology but to the development of the characters and their relationships with one another. While so many were angry with a series finale that didn’t give many answers, I found myself ready to rank “The End” as one of my favorite television episodes ever. Maybe it was because Alias had already taught me that mythology-heavy shows would never end with all the answers you want. But I think it was because that series finale made me feel more deeply from start to finish than perhaps any single episode of television before or since. “The End” harkened back to the pilot’s opening scenes in that it was about the people who lived and died on that island together more than it was about the mysteries. Ten years ago, the Lost pilot began with relative simplicity—a man walking around the area of a plane crash, helping and observing the people around him. Within that first episode, the plot got vastly more complex, but its heart would always be with its characters first and foremost. Lost taught me that I can forgive a lot of plot holes, unanswered questions, and inconsistencies if a show’s characters are able to make me feel and make me care. That might make me look like a “less intelligent” or “more naïve” viewer to some, but that’s just who I am. Good shows make you think, great shows make you feel, and the best shows somehow manage to do both. Lost will always be one of the best. From the wreckage of a plane crash to the beauty of a church; from a love story born of a makeshift attempt at stitching a wound to a love story rediscovered in the light of a hospital vending machine; from a group of people who were basically strangers to a group of people who were deeply connected even after death—Lost gave us a journey and a group of characters to take that journey with that I still look back on fondly 10 years later. Many have tried to recreated its magic with mythology-heavy shows, but what they keep forgetting is that Lost’s thesis was stated ten years ago in the very opening of its pilot: Characters first, plot second. Happy 10th birthday, Lost. Let’s all have some Apollo Bars to celebrate, as you share with me your favorite memories, lasting impressions, and lessons learned from this game-changing show. This entry was posted in Fangirl Thursdays, Television and tagged essays, fangirl thursdays, lost, nerd musings, television by Katie. Bookmark the permalink. Katie I don’t know what else to say because you said it perfectly. 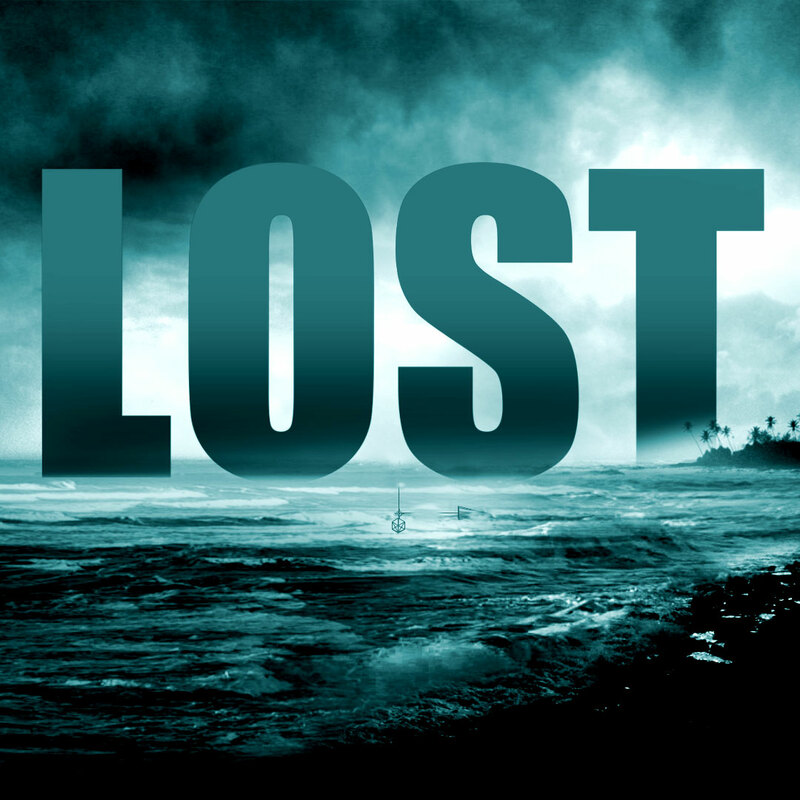 For the people who were there since the beginning, Lost is and always will be more than a simple tv show. I’m not saying that people who catched up with it later over the years are less than a fan of the show but they missed something that we’ll carry with us forever: online frienships, crazy fangirling, crazy suppositions, shared emotions whether on laughing for a scene or crying for it, days and nights spent on Darkufo waiting for spoilers. And like you said that Lost was about the characters, for me it was and always will be about the experiences I shared with other people. I learned that you don’t choose your “ships;” they choose you. I loved what you wrote here, it’s the same for me. Jack and Kate are my OTP for life and I know they chose me since that “excuse me, have you ever used a needle?”. It has been a long, angsty journey but they taught me so much about love and its shades. I’m forever thankful for it. P.S. I love Juliet and Sawyer too, it was an unexpected, beautiful relationship and them too are among my OTP for life. Thank you so much for the kind words and for sharing your own feelings about what this show meant to you. I remember so many nights spent lurking on message boards trying to predict what was going to happen (and being wrong 99% of the time) and talking about every new twist with my high school math teacher the day after an episode aired and later with friends from college in our campus library. I recently re-watched the pilot, and I’d forgotten just how wonderful that first scene between Jack and Kate was. It laid the groundwork for so much of their love story, and it was also filled with such absolutely perfect tension. 10 years, man. This show seems so recent in my brain, so this is making me feel old! I think this is one of those rare shows that despite not being completely based in reality, really caught on with the masses. The characters felt so real and complex that things like smoke monsters and time travel really didnt seem all that crazy. I honestly wish this show was on now for us to analyze, because there is so much there I never really took the time to think about too much. Not like I did with something like The X-Files or Buffy or now Once Upon a Time, and I think there was a huge missed opportunity there. At least we all had Doc Jensen to help us sort things out every week. I cant really remember shipping anybody too hard on that show, but how can you not love Sawyer and Juliet? It was something that I never saw coming, but was perfect. I also remember the deaths on this show being particularly moving. Charlie and Juliet’s in particular really did a number on me. The last episode for me is one I appreciate more now with some perspective. When I first watched it, I didnt sit down and think “wow, that was amazing”. I just kinda sat stupefied that it was all over. I was in denial for sure. It was something I had to think about before I really decided if I liked it or not. But now when I go back and watch it, I think its the perfect ending. I still get emotional seeing all those characters at the end of their journey, reunited. This show is definitely on my list of shows I eventually want to re-watch all the way though. Prehaps a summer project next year! PS: Both of those deaths you mentioned still make me weep almost uncontrollably. I’m not sure I will ever get over the image of Juliet’s hand letting go of Sawyer’s. Her death scene was so visceral, and it contrasted so perfectly but so painfully with how stable and peaceful their relationship seemed to be. Great post as always, Katie! One question – do you watch Bones? Because I really need to talk to someone about the season premiere! I actually don’t watch Bones, but I will happily direct you to one of the most passionate and articulate Bones fans around—the lovely Kelly who you might have seen around NGN from time to time. You can follow her on Twitter (https://twitter.com/theTVmouse) and check out her recaps (http://community.ew.com/2014/09/26/bones-season-premiere-recap-conspiracy-in-the-corpse/). I know she’s always more than thrilled to talk about Bones with fellow fans!